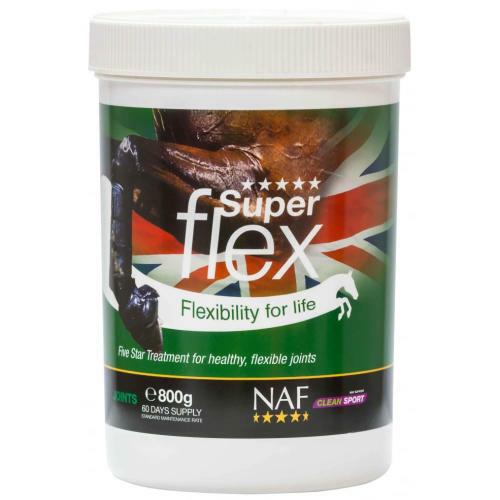 NAF Five Star Superflex Horse Joint Supplement is a scientifically balanced formula of readily absorbed glucosamine and chondroitin, highest quality MSM, plus the added benefits of a powerful anti-oxidant formula that's been created to address excess free radical build up around the joint. Horses’ joints have to cope with extreme forces and it is commonly the cartilage that is the first part to show wear and tear. The key cartilage nutrients, Glucosamine Sulphate, MSM, Chondroitin Sulphate and Hyaluronic acid (HA) are well known for their support for the health of both cartilage, and the thick synovial fluid that oils the joint. Research recommends that feeding a combination of the key nutrients allows them to work together more effectively than any one nutrient alone. Getting the combination right is crucial. 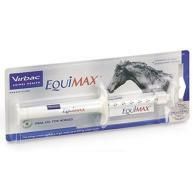 Five Star Superflex contains the right combination of key nutrients in the optimum ratios, developed over twenty five years of working with sound horses. Naturally sourced antioxidants are also included to work synergistically with Glucosamine and MSM to support joint health.